Live in Chicagoland? 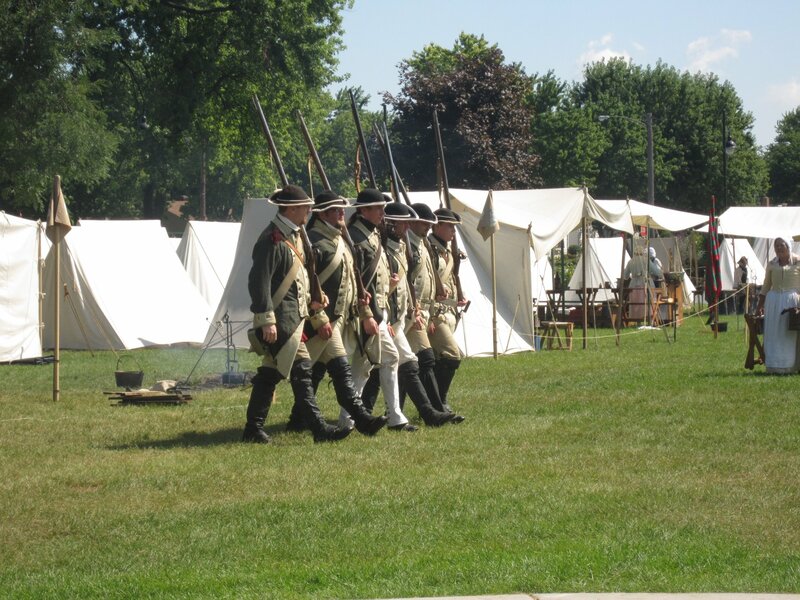 Interested in seeing what we crazy Revolutionary War reenactors do? This weekend, August 17 & 18, 2013, we’ll be in Highland, Indiana. That may sound far, but it’s only about 30 miles south of Chicago. Highland is pretty much a southeast suburb. I80-94 to Kennedy Avenue. Kennedy to Highway Avenue. East on Highway to Main Square Park. Come by between 10am and 5pm to experience some fun, educational living history. And if you’re interested in reenacting with us some time, feel free to ask any reenactor out there. We love to recruit! Questions? Comment below or email me at kathleen@sweetpeasandsoybeans.com. Awesome article. Sadly we won’t be there, but we will be cheering you on from afar!